3rd Edition of International Sports & Fitness (ISF) Middle East is organized by ATEX International Exhibitions and will be held from Apr 27 - 29, 2019 at Festival Arena Exhibition Center, Dubai, United Arab Emirates. International Sports & Fitness Middle East is an important platform for manufacturers, suppliers, distributors and service providers to increase their market presence and meet with key decision makers in the Middle East’s sports and fitness sectors. Now on it's 3rd edition, International Sports & Fitness Middle East will again play host to the most important gathering of professionals and decision makers from around the Middle East to meet, connect, exchange knowledge and conduct business in 2 days. Conference Focus: Facilities Management Conference The Fitness & Sports Facilities Management Conference is a unique definitive meeting place for operators, owners, directors and managers to learn the latest concepts and methodology in running their fitness and sports facilities. The speaking faculty are industry experts in various fields who will share their knowledge in leadership, management, sales, marketing, partnership and operations. Attendees will be able to discover techniques in effectively implementing procedures, acquire advanced knowledge and improve their skills in facility management. Key Topics • Establishing relationships between fitness and sports facilities with hospitals, clinics and insurance companies • Analysis of systems, technology and procedures at the work place • Client management • Managing emergencies • Integrating wellness to your facilities • Equipment Technology • Investing in latest innovations ​Who should attend? Fitness & Sports Facility Owners, Franchisers, Directors, Operators, Managers, Marketing, Sales Sports & Fitness Integration Conference The Sports & Fitness Integration Conference provides a platform for key-note speakers, industry experts, fitness, sports and healthcare professionals to connect, collaborate and share best practices. The agenda will focus on the latest approaches, procedures and management techniques in integrating sports and fitness to the healthcare industry suited to all levels of experienced professionals. Key Topics : • Sports Performance • Sports Injuries and Management • Rehabilitation • Ancillary Sports Medicine Who should attend? Sports Medicine Specialists, Physio Therapist, Orthopaedic Specialists, Occupational Therapists, Physical Medicine and Rehabilitation Specialists, Emergency Medicine, Nurses, Personal Trainers, Coaches Nutrition for Optimal Health & Sports This course is designed to provide the participant both general and advanced nutritional information. Nutrition will be examined from a health and sports performance perspective. Facts and fallacies will be explored. Topics to be covered include Carbohydrates, Fats, Proteins, Vitamins and Minerals, Digestion, Dietary Analysis, Nutrition for Health and Chronic Diseases, Caloric Calculation, Weight Loss Fad Diets, Nutrition for Endurance Athletes, Nutrition for Strength and Power, Energy Production and Metabolism, Supplements Facts and Fads, and many topics related to the different methods of athletic training. CPD Points: 15 CPD Course Objectives: • Macronutrients • Vitamins and Minerals • Digestion and Absorption • Dietary Analysis • Nutrition in Health and Disease • Weight Loss Fad Diets • Energy Production and Metabolism • Nutrition and Performance • Hydration • Making Weight • Supplements (Facts vs. Fads) Additional details will be posted as soon as they are available. Board Certification in Aesthetic Medicine is organized by American Board of Aesthetic Medicine (ABAM) and will be held on Apr 27, 2019 at Dubai - ABAM International Training Center, Dubai, United Arab Emirates. 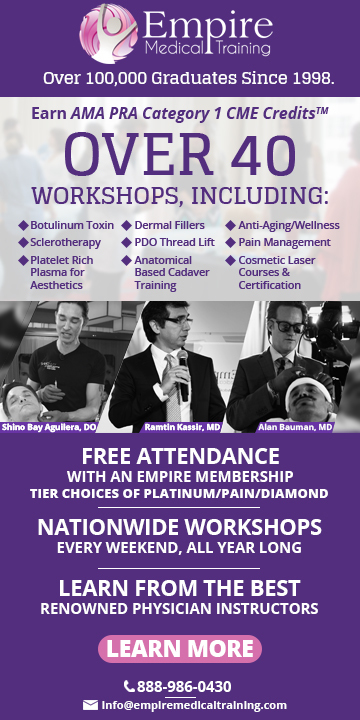 The target audience for this medical event is Physicians (M.D. / D.O. ), Nurses, Physician Assistants, and Dentists. Board Certifications are issued by The American Board of Aesthetic Medicine to physicians with passing scores on the written board examination. Completion of Step 1, Step 2, and Step 3 aesthetic medicine training from ABAM is a requirement regardless of previous experience. Delegates will take Step 1 and Step 2 after which there is a required 6 months waiting period before Step 3 can be taken. A 6 months practicing period is mandatory after completing all 3 Steps . During the practicing period delegates will have to collect and submit 1 case from each procedure of dermal filler injection, neuromodulator injection, and laser or chemical resurfacing before they can sit for the Board Examination. Board Certification is a milestone for physician in the field of aesthetic medicine. Patients are assured that physicians in possession of Board Certification from The American Board of Aesthetic Medicine have met the highest standard in the field. Written Examination: 4 Hours. Additional details will be posted as soon as they are available. First Response Healthcare (FRH) Nursing Conference 2019 (Informatics, Clinical Nursing & Patient Safety) is organized by First Response Healthcare (FRH) and will be held on May 05, 2019 at Pullman Dubai Creek City Centre, Dubai, United Arab Emirates. 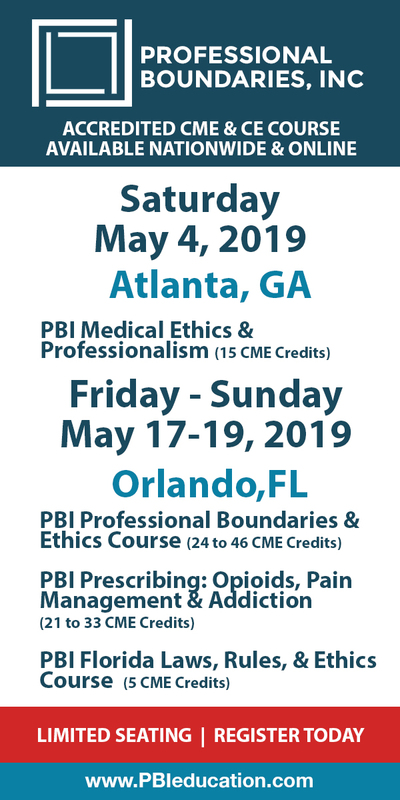 This Conference has been approved for a maximum of 3.25 CME Credits. The conference aims to discuss the Impact of technology on Nursing Care and Role of Nurses in Patient Safety as well as a breadth of other clinical topics. The central theme of the conference is "Nursing Update 2019 - Informatics, Clinical Nursing & Patient Safety" for we believe that the nursing field is evolving rapidly and taking a central stage in the health care industry. This conference is an ideal platform to get updated on a diversity of important nursing topics that will impact future nursing practice. This is a unique opportunity to network with peers, share novel ideas on crucial issues and trends, and keep abreast of the latest updates. Do not miss this outstanding opportunity! Dr. Amrish Kamboj Conference In-charge Chief Operating Officer First Response Healthcare, Dubai, UAE Additional details will be posted as soon as they are available. Dubai 55th International Conference on "Medical, Medicine and Health Sciences" (MMHS-2019 Dubai, UAE) is organized by Academic Fora and will be held from May 17 - 18, 2019 at Best Western Premier Deira Hotel, Dubai, United Arab Emirates. Main Theme: “Advances in collaborative research for public Health, Medical and Medicine Sciences for better healthcare services to society” The conference will cover vital issues in medical, medicine and health sciences under multiple sub-themes. The aim of our conference is to support, encourage and provide a platform for networking, sharing, publishing and nurturing the potential growth of individual scholars across the globe. Conference Tracks and Sub-Themes: MMHS-2019 London conference is a premier platform for the presentation of novel and creative research results in the fields of theoretical, and applied Medical and medicine research, Health Sciences and Public Health research & practice. The conference will bring together leading researchers, social workers and scientists, students in the domain of scientific interest from around the world. The areas of interest for submission include, but are not limited to: • Medical Science. • Health Science. • Public Health. Additional details will be posted as soon as they are available. Pediatrics Congress 2019 is organized by Hilaris Conferences and will be held from May 27 - 28, 2019 at Dubai, United Arab Emirates. Additional details will be posted as soon as they are available. Gastroenterology & Urology 2019 is organized by Hilaris Conferences and will be held from May 27 - 28, 2019 at Dubai, United Arab Emirates. Additional details will be posted as soon as they are available. 4th Annual Dubai International Conference on Infectious Diseases & Vaccination (DICID) is organized by Maarefah Management and will be held from Apr 25 - 27, 2019 at Roda Al Bustan Hotel, Dubai, United Arab Emirates. Who Should Attend? Physicians and other healthcare professionals and policy makers from the following specialties: • Infectious diseases • Infection control • Internal Medicine Practitioners • Family Medicine Physicians • Critical care • Gastroenterology • Pediatricians • Public health • Microbiology, bacteriology, virology, pathology • Epidemiology About the Conference: Infectious diseases are a major public health concern globally and kill more people worldwide than any other cause, with more impact on developing countries. Increased urbanization, global homogeneity resulting from increased trade and travel, social and environmental changes resulting from globalization are increasing the risk of infectious diseases. In addition, the rapid adaptation of microorganisms has led to antimicrobial resistance which brings a heavy burden to HCP’s when designing a treatment strategy and the need for developing effective antimicrobial stewardship programs is growing each day. The 4th Dubai International Conference on Infectious Diseases and Vaccination DICD 2019 will gather policy makers, regional and international experts and professionals to discuss recent updates and international guidelines in the field of infectious diseases and vaccination, and best practices in preventing microbial resistance and developing successful disease management plans. The Conference will provide an exceptional scientific program with exciting scientific sessions that will cover topics such as antimicrobial resistance, paediatric immunisation, emerging epidemic diseases, national and international vaccination programs, Travel medicine, sexually transmitted infections viral Hepatitis, and other topics through interactive presentations, panel discussions, debates and workshops. Benefits of Attending: • Hear from regional and international experts in the field of infectious diseases and immunisation • Learn about the best approaches and latest guidelines in antimicrobial stewardship • Get updates of immunisation recommendations for children and adults • Develop highly effective hospital infection control programs • Review latest diagnostics for early detection of infectious diseases • Update your knowledge of regional emerging epidemics and their detection and management • Earn CME points by attending this conference Time: 8:00 am - 5:00 pm Early bird price for the first 50 seats only Prices: From: AED 199.0, To: AED 2199.0 Additional details will be posted as soon as they are available. Mental Health 2019 is organized by Hilaris Conferences and will be held from May 29 - 30, 2019 at Dubai, United Arab Emirates. Additional details will be posted as soon as they are available.